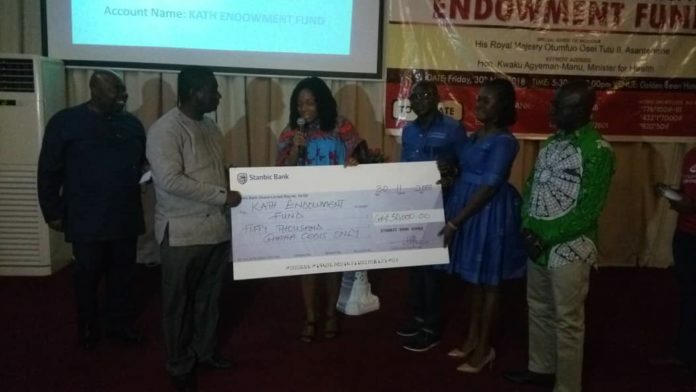 A 11 member Board of Trustees has been set up by the Board of Directors of the Komfo Anokye Teaching Hospital (KATH) in Kumasi with the oversight responsibilities of managing the KATH Endowment Fund, an initiative set to raise funds to address the operational challenges of the hospital. The Trustees, through the Endowment Fund, has the challenge to encourage or create the opportunity for public-spirited individuals and organizations to come to the aid of the hospital to achieve its goal in the health delivery system. 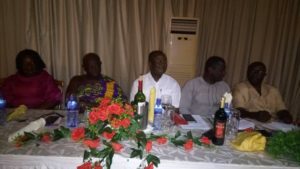 The members include Kwabena Kesse of Kessben Group of Companies, Nana Adwoa Dokua, Managing Director Beauty Queen Hotel, Dr. K. K. Sarpong, CEO of Ghana National Petroleum Corporation (GNPC), Ahaji Kamil, a private Business Executive and Opoku Boamah, CEO of Opoku Trading Limited. 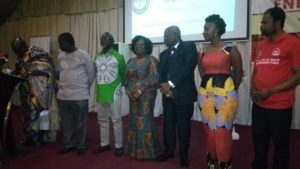 Others are Mrs. Gyamfua, MD of Lamerta Hotel, Mrs. Akuamoah-Boateng, a Health Development Consultant, Charles Dontoh, Dr. Kofi Osei and Dr. Oheneba Owusu-Danso, CEO of KATH. Delivering his speech at the launch of the Fund at the Golden Bean Hotel in Kumasi on Friday, October 30, 2018, the CEO of KATH, Dr. Oheneba Owusu Danso said the hospital needs GHC 120 million to tackle the resources required to improve both infrastructure and equipment at the hospital, and the launching of the Fund is a timely intervention. He said though the Board and the Management are doing their best to address some of the challenges of the hospitals, the Internal Generate Funds (IGF) alone cannot resolve all the operational bottlenecks facing the hospital, which serves not only the Ashanti region, but other parts of the country and other neighbouring countries like Burkina Faso, Cote D’Ivoire and Mali. “The needed facilities include centres for Cadiothoraxic Surgery, Plastic and Reconstructive Surgery, Transplant Surgery, Fertility Services, Central Laboratory and General Stores and expansion of the Psychiatry and Diabetes Care Centres” he stressed. “Apart from this amount, the hospital also needs a projected 120-140 million US dollars for the completion of the hospital’s 43 year Maternal and Children’s block which the government has so graciously pledged to complete in the next two years. I therefore call on your total support to make this initiative a success,” he added. The Board Chairman of KATH, Paramount Chief of Bompata Traditional Area, Nana Effah-Ampenteng, in his remarks appealed to the general public, in and outside the country, to contribute generously to mobilised funds to address challenges facing the hospital to make it the “centre of excellence”.